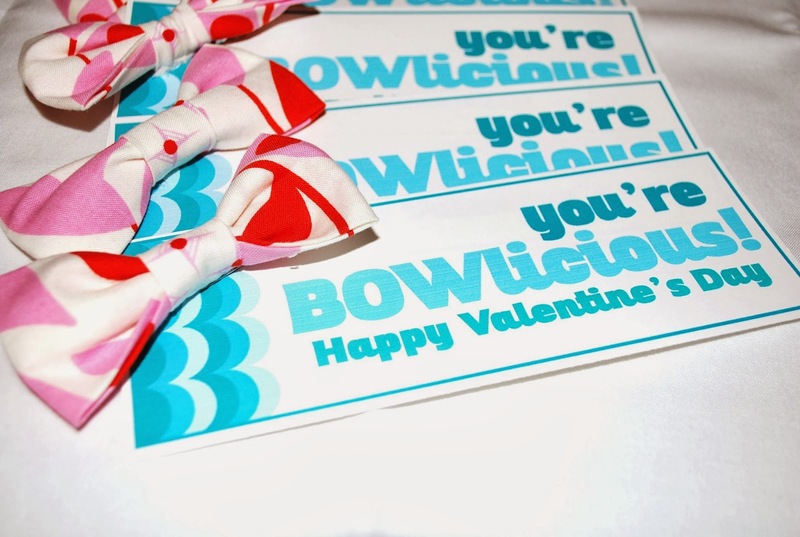 ' Bowlicious Valentines - Sisters, What! My oldest is a bit too old now to take Valentines for her whole class but she does have a few really good friends here that she wanted to give Valentines to. I was searching through some of my favorite blogs and found such a great idea over at MADE. I love her stuff. She always has such cute ideas. 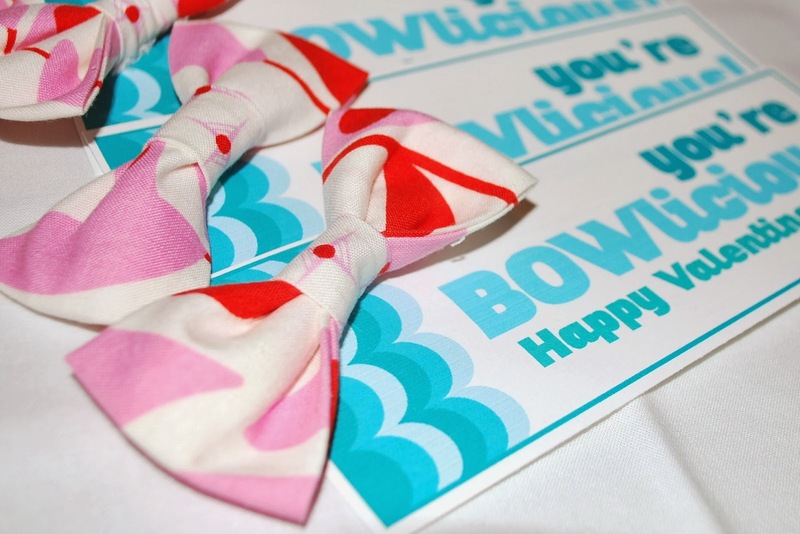 Anyway when I saw Dana's idea I knew it would go perfect with Hava's bows that she posted last week. 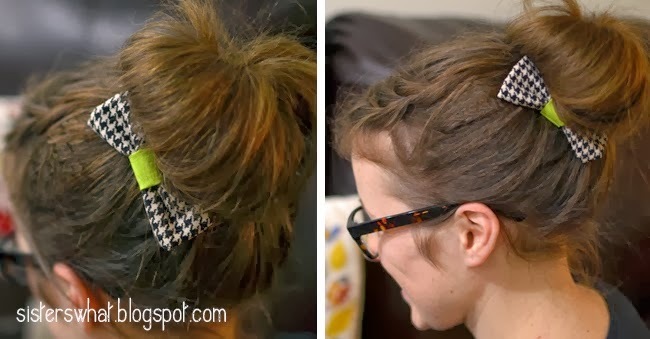 I had already made one for Anne and it turned out so cute and looked great on her "bun day" (she likes to wear buns in her hair on Fridays because she has ballet). 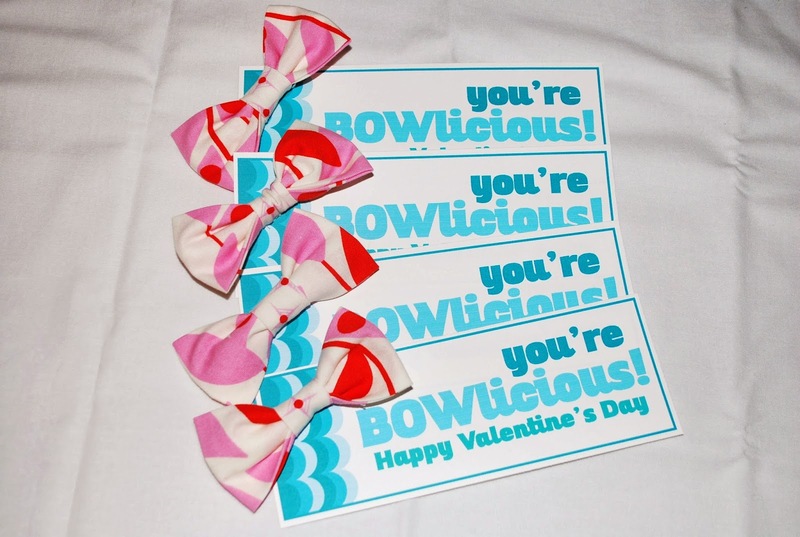 So I took the Bowlicious Valentine from MADE and Anne sewed the bows for her friends. That is how easy the tutorial is...Anne has only been sewing since Christmas. 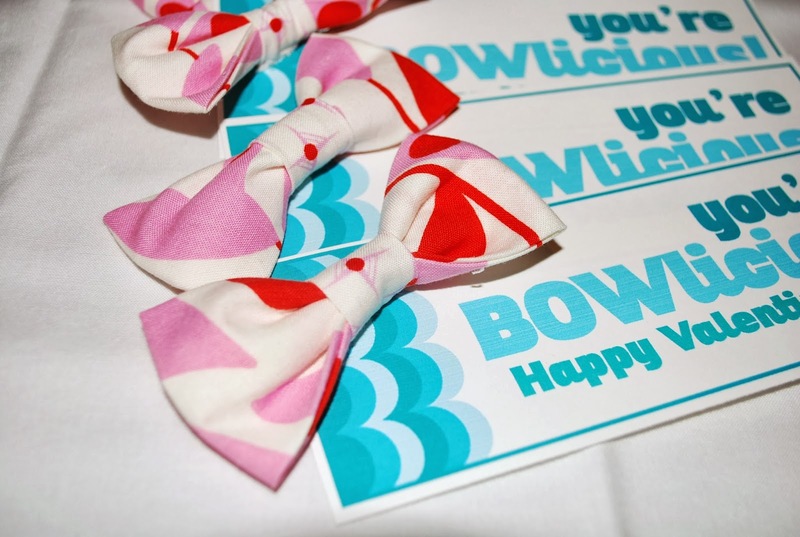 We had a bit of fabric left over and I made a few bows for my sweet nieces. I loved that Anne and I were side by side sewing together. These two ideas were a great combination. Enjoy!